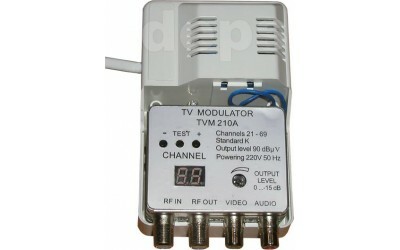 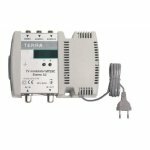 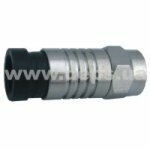 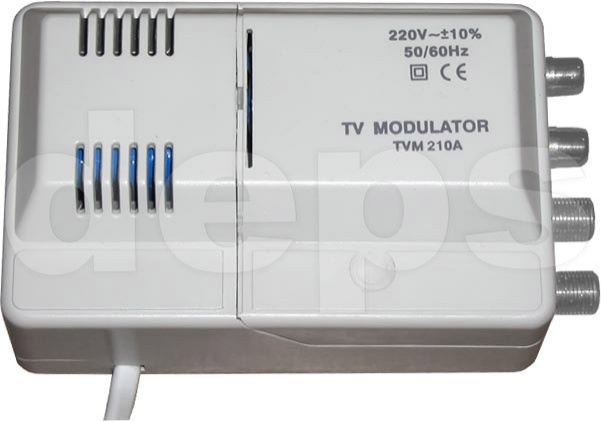 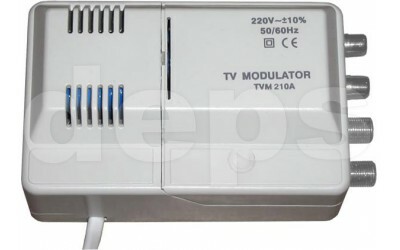 Modulator ТМ210А may be useful in the event that your TV set is deprived of V/A-inputs or if these inputs are enabled by other devices, such as DVD, satellite tuner, video camera, etc., that may be additionally connected to your TV set through modulators. 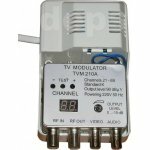 The modulator applies the spectrum of low frequency V/A signals onto the frequency of a TV channel that you have selected. 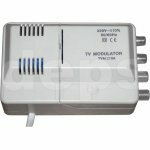 Transmission is performed in the range of decimetric waves (channels 21-69). 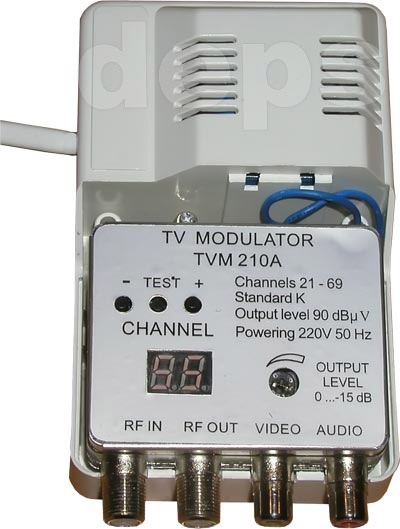 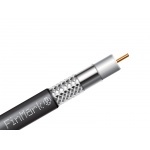 The modulator has a built-in TV adder to add up an output signal and a signal from an antenna or from a cable TV system. .
An in-built transition-line TV adder.